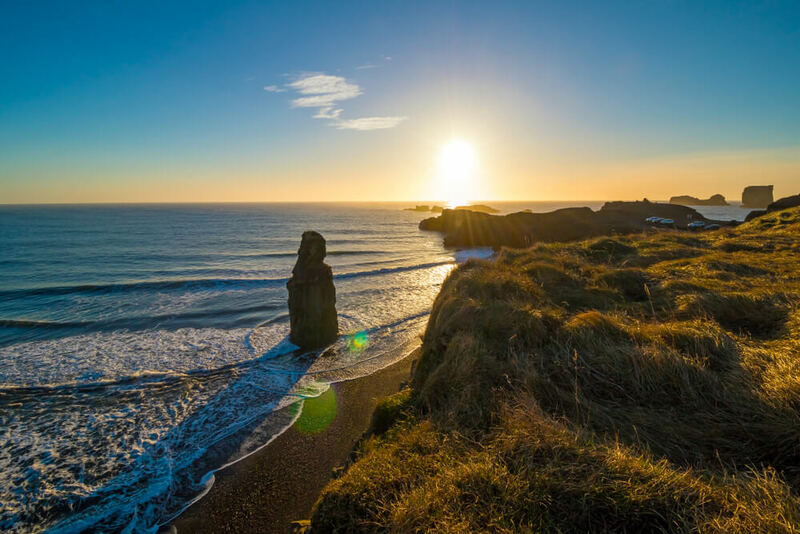 Follow the North Atlantic coastline from Reykjavík into the volcanic and glacier covered wonderland that is Iceland's south coast. Walk behind the thundering veil of spray at Seljalandsfoss Waterfall and take in the incredible views from the top of Skógafoss Waterfall. Price & Availability: See booking window on the right. Teenagers 12-15 years 50% discount & children 0-11 years old free. 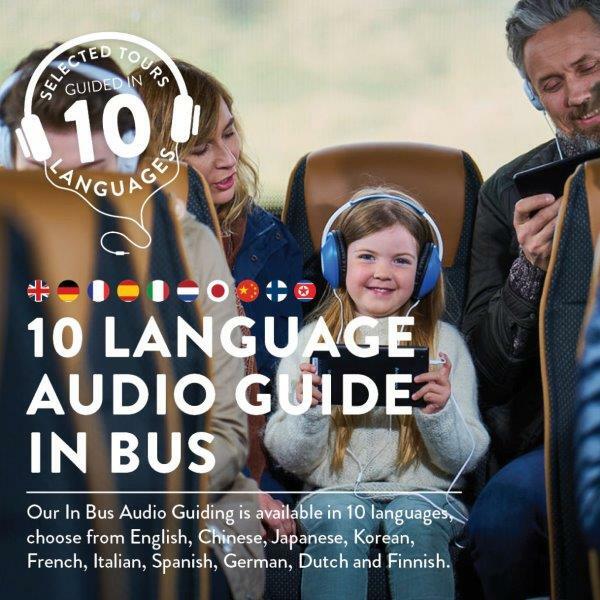 In-Bus-Audio-Guide: We recommend that you bring your headphones, only because they will fit you best. It is also great for the environment. 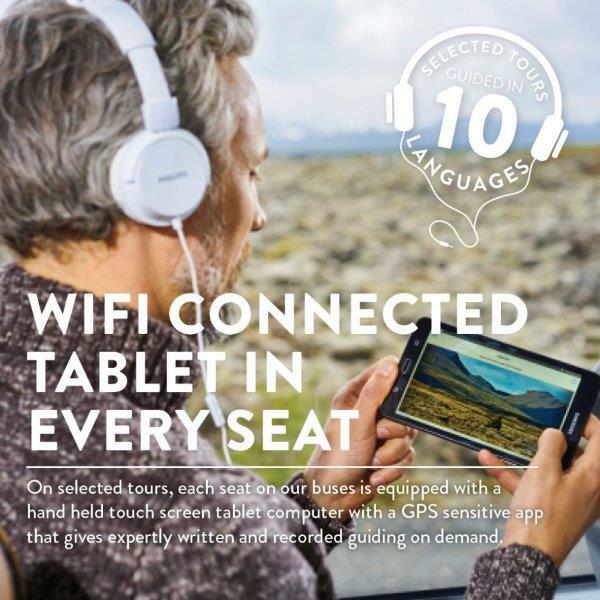 If you don’t have your headphones, with you or forgot to bring them, no worries we sell earphones on board. 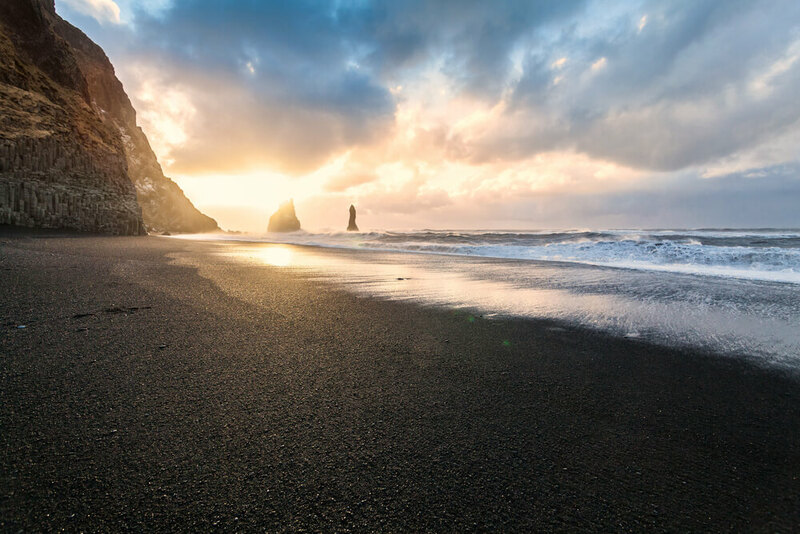 Duration: 10-11 hours, including a minimum 30 minute stop at Seljalandsfoss Waterfall, Skógafoss Waterfall, Sólheimajökull Glacier & Reynisfjara Black Sand Beach. The tour starts with a drive through lava fields, right by the actively volcanic Hengill mountain and then down to the rich coastline farmland. On clear days you will see Hekla Volcano, and in the distance, the glacier-capped Eyjafjallajökull Volcano will rise majestically above the coastal mountains at its base. Just a few kilometers off the coastline and easily visible are the volcanic Westman Islands, an archipelago of around 15 small islands, one of which is inhabited. Our first stop is at Sólheimajökull Glacier, which is every photographer’s dream, we stop there on our way to Reynisfjara Black Sand Beach, another dramatically beautiful spot. The powerful Atlantic waves crashing on the black sands, the jagged basalt sea stacks, and the vast basalt-column cave are a sight to take your breath away. 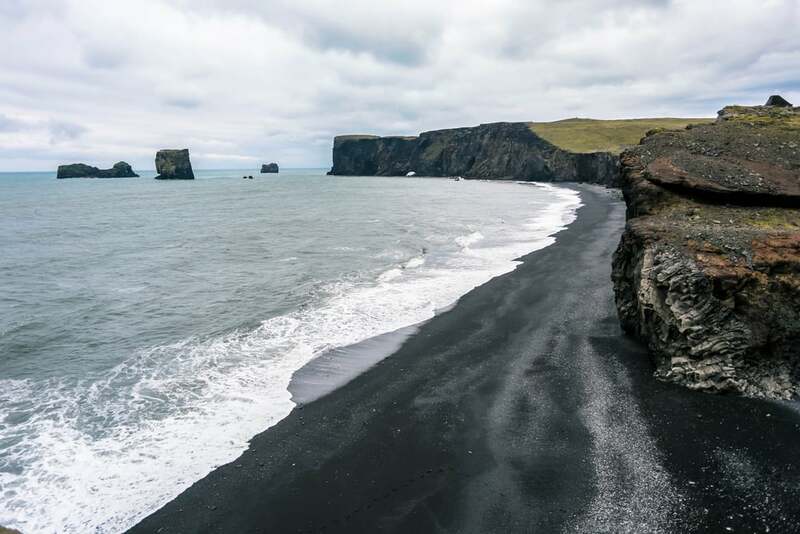 After being amazed by the power of the sea in Reynisfjara Beach, we will head on to Vík. 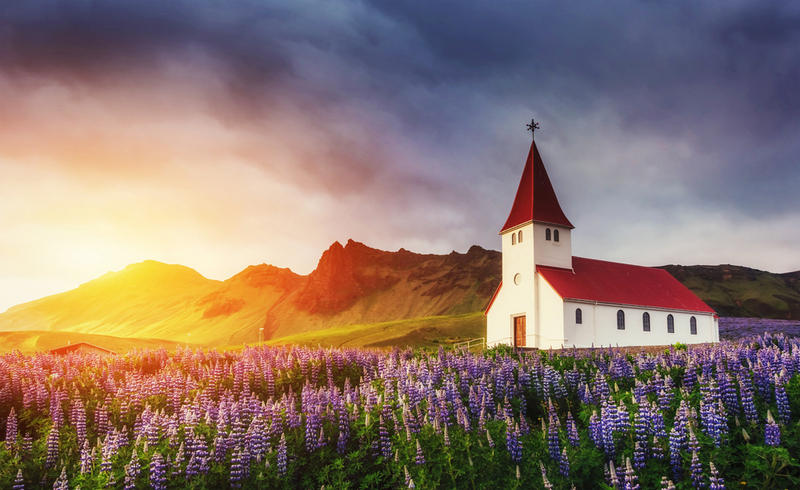 The village of Vík is the southernmost village in Iceland, located on the main ring road around the island. Despite its small size (291 inhabitants), it is the largest settlement for 70 km. 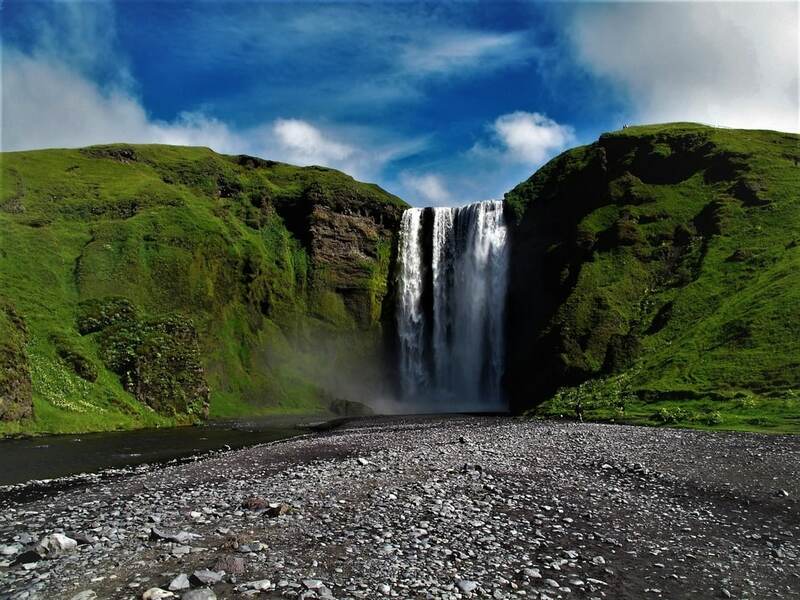 On our way back to Reykjavík, we stop by the powerful Skógafoss Waterfall where a short walk up a flight of steps will reveal one of Iceland´s most scenic views that include glaciers, volcanoes and black sandy beaches. We then stop at the 60-meter high Seljalandsfoss Waterfall, famous for the hidden pathway behind and around it. South Coast is phenomenal! The waterfalls and the nature is simply fantastic! Very much worth it! I already did the golden circle tour in Iceland, and I liked this one better! Incredible waterfalls! Seljalandsfoss was my favorite! Such a beauty. Overall incredible scenery and a great tour. Had a blast!